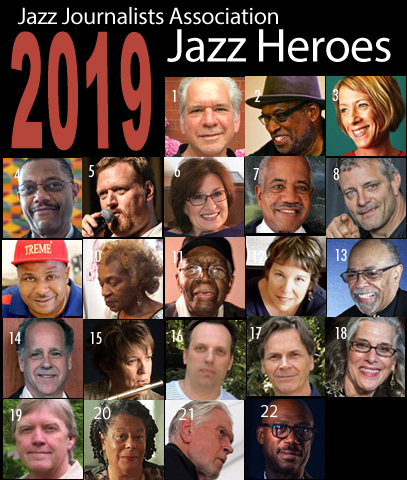 The Jazz Journalists Association is pleased to announce the 2019 Jazz Heroes: Advocates, altruists, activists, aiders and abettors of jazz who have had significant impact in their local communities. The 'Jazz Hero' awards, made annually on the basis of nominations from community members, are presented by their local fans and friends in conjunction with the JJA's annual Jazz Awards honoring significant achievements in jazz music and journalism. Please spread the word of Jazz Heroes you know as neighbors and admire, via your own social media posts. 4. Detroit: Oliver Ragsdale, Jr.
Congratulations and a big THANK YOU to all the 2019 Jazz Heroes. Special thanks to Doug Moody and North Coast Brewing Co.
for their generous donation of their Brother Thelonious Belgian Style Abby Ale for Jazz Hero presentations. 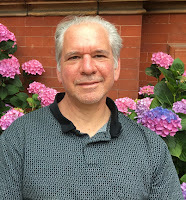 Glenn Siegel curates and produces jazz and world music concerts at the University of Massachusetts, Amherst, and throughout western Massachusetts. He is the founding director of the Magic Triangle Jazz Series, Solos & Duos Series (both at UMASS), A World of Piano Series (Northampton), and Pioneer Valley Jazz Shares (western Massachusetts). He also produced the Bright Moments Festival from 1997 to 2000. Since 1990, Siegel has presented over 275 events featuring established icons as well as artists at the outset of their careers. I do not know of a presenter in this country who has done more to encourage a wide view of the multiple directions of this music, pan-stylistic, generational, and fiercely individual. He has championed many hundreds of musicians, building and sustaining an engaged, energized audience for their efforts. Artists feel that when they perform here, these concerts fully welcome their creative vision. Glenn is tireless in his advocacy and search for excellence. “Marty, have you heard this sax player from Montana?” he’ll say. He has presented my work over the years in contexts from small groups to jazz orchestra, always curious and supportive about what I’m thinking of next. And not just me: with the community-based forum of Pioneer Valley Jazz Shares, Glenn has recently enhanced the frequency of gigs for emerging players, often giving New Yorkers, Bostonians and Chicagoans their first gigs as leaders out of their local scenes. In league with the Five Colleges Consortium here in the Pioneer Valley, these artists present master classes and talks, further bringing in new listeners and young practitioners. In addition to producing, Siegel regularly writes about what he's heard in these concerts and on recent recordings in his blog “Jazz Ruminations.” He has broadcast live radio interviews with visiting musicians for nearly three decades, for the local cable affiliate Amherst Media and on New England Public Radio, where he is often a guest host on "Jazz A La Mode" and "Jazz Safari". As Administrative Advisor to WMUA 91.5FM at UMass Amherst from 1988 to 2015, he kept the music strong on the airwaves and taught years of students about all facets of radio. Glenn Siegel has enriched this region with a universe of music beyond it, concert after concert, over the airwaves, online and in person. We are thrilled to celebrate his honor of being named a 2019 JJA Jazz Hero! Glenn, you have our deepest thanks. 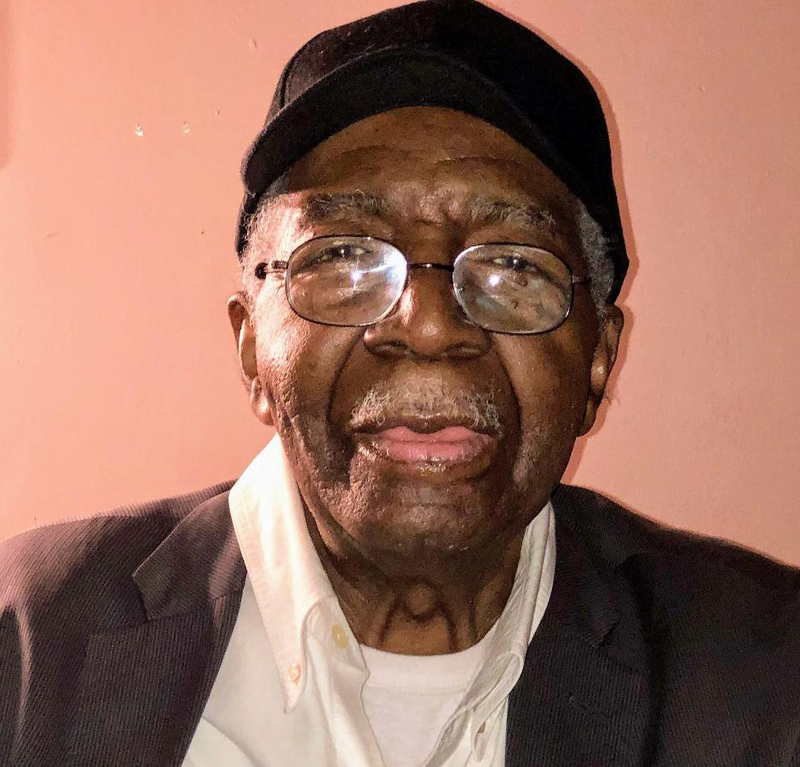 WEAA radio personality and jazz club emcee George "Doc" Manning, Baltimore’s 2019 Jazz Hero, was born and raised in this city, where he received an educated background in jazz and big band music from his mother. Doc’s initiation into the blues came from his father, who sang blues while shaving and took him to hear the live music at Carr’s Beach, the segregated area of the Annapolis shore communities. He remembers those late 1950s and ’60s summer concerts featuring r&b greats Ray Charles, Stevie Wonder, James Brown and Dinah Washington as a huge influence, which endured as he went on to study political science at Coppin State University. Even during his time as a combat medic with the 173rd Airborne Brigade in Bong Song, South Vietnam, music affected Doc’s life. He recalls listening to blues and rock by Led Zeppelin, Jimi Hendrix, Muddy Waters and The Beatles during that tour. Upon returning Stateside, Doc continued to follow jazz as an avid fan, and advocate for it where and whenever possible. In 1992, Doc hooked up with An Die Musik as a talent scout/booker and master of ceremonies. 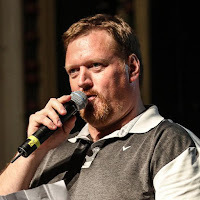 In addition, he helped found Avenue Productions to present shows at the Caton Castle, where he’s introduced and announced the artists frequenting the Saturday evening jazz productions over the past six years. 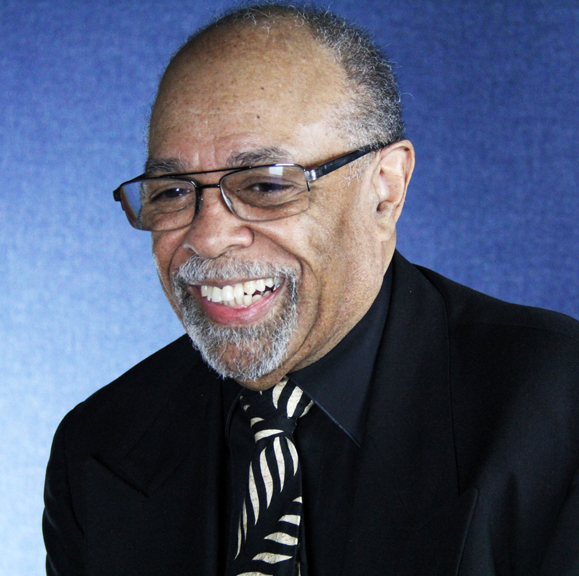 For his tireless commitment to and pursuit of excellence in contemporary jazz, his breadth of knowledge and his friendly demeanor, the JJA is pleased to acknowledge and toast George “Doc” Manning as the 2019 Baltimore Jazz Hero. The choice of booker, curator, consultant, administrator, marketer, developer, fundraiser, collaborator, programmer, artistic director and all-round aider-and-abettor Kate Dumbleton as the JJA’s 2019 Chicago Jazz Hero is a no-brainer. She is chiefly revered in the jazzosphere for helping transform the neighborhood Hyde Park Jazz Festival into an event of national and international repute, but before she began her tenure as artistic and executive director of that fest in 2012, Kate already had a wealth of experience scheduling, hosting, fundraising and passionately advocating for jazz. Between 2009 and 2012 she oversaw administration of performances and educational outreach as executive director of the Chicago Jazz Ensemble at Columbia College, designing music programs and coordinating guest artists among many other tasks for a non-profit with a million dollar budget. 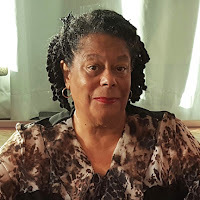 From 2003 until the time she relocated to Illinois, Dumbleton was executive director of the Marcus Shelby Orchestra, and its affiliated Noir Records, in San Francisco. This gig involved directing academic fellowships and artists’ residencies, negotiating and contracting -- making the wheels turn. Kate’s love and support of jazz was already assured, however, through her stewardship at several Bay Area venues. She was artistic director and programmer -- and sole proprietor -- at the Café Royale for six years, putting on countless concerts. Prior to that she’d been the general manager of the Café du Nord and held the same position at San Francisco’s Eleven Jazz Supper Club between 1996 and 1998. Aside from duties as Associate Professor at her alma mater, The School of the Art Institute of Chicago, Dumbleton has carved time in her schedule for numerous special projects, including curating music for Sound Palette, a retrospective of painter Archibald Motley’s work at Chicago Cultural Center; co-curating the Made in Chicago Millennium Park Concert Series; project managing the exhibition "Pathways to Unknown Worlds: Sun Ra"; co-presenting or solo hosting a dozen or so House Concerts in the Ratchet Series, and in 2017 inaugurating the first Back Alley Jazz event, working with artists Fo Wilson and Norman Teague and Chicago’s South Shore community to reimagine the history of jam sessions in South Side alleys. The list of musicians and composers with which she has collaborated, often on one-of-a-kind performances, including premiers of important works for which Dumbleton secured additional funding, is exhaustive (the HPJF recently received a MacArthur grant in acknowledgment of the groundbreaking work she spearheaded there), and she's assembled an impressive coterie of the specially commissioned artists, too. Unprepossessing but steely, she is a woman who gets things done, yet also, despite oft-colliding commitments, is seen around town supporting live jazz as a common patron, a personal friend and confidante to many performers, one who shows up to be on the scene. In short, Chicago Jazz Hero Kate Dumbleton is a rare and essential warrior for creative music. 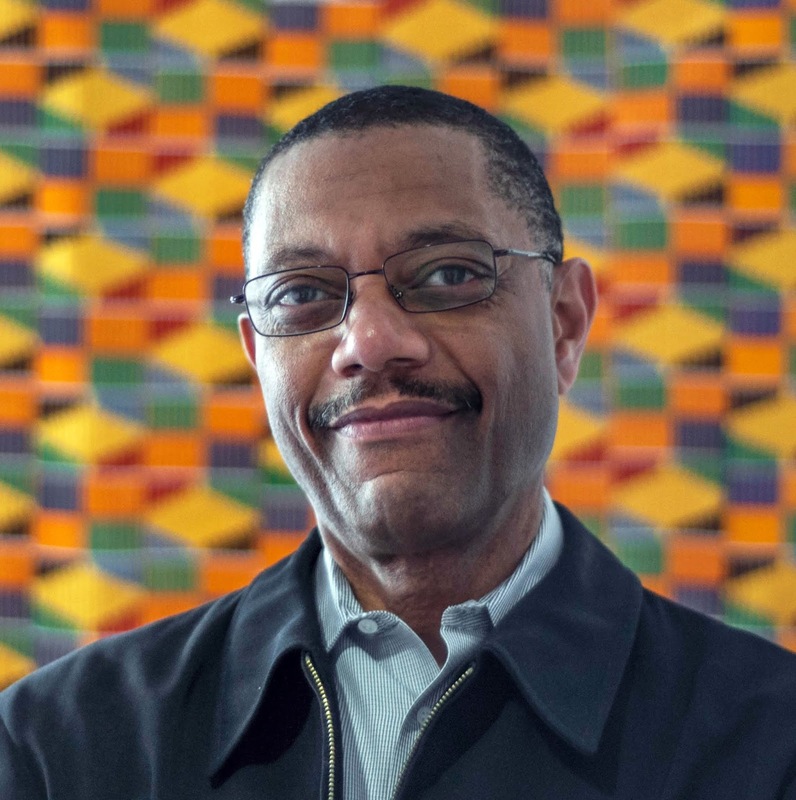 Oliver Ragsdale, Jr., president of The Carr Center which is committed to the development of African and African-American arts traditions, didn’t develop a serious interest in jazz until arriving in Detroit in 1984. He had made a name for himself in Pittsburgh, his hometown, as a classical percussionist. At Wilkinsburg High School, he’d won statewide classical music competitions and hed graduated from Duquesne University with degrees in classical music. As a professional musician, he’d performed with the Pittsburgh Opera and Ballet Orchestras, the West Shore Symphony Orchestra and the Virginia Opera Orchestra. 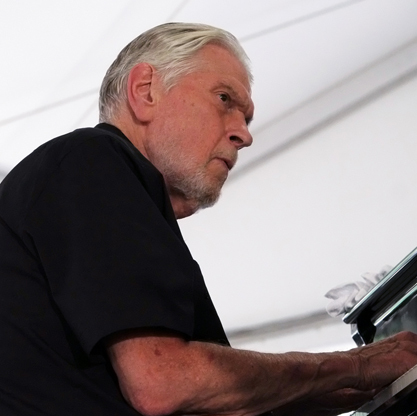 Early in that musical journey, Ragsdale dreamed of building his jazz chops, studying at Berklee School of Music with renowned vibist Gary Burton. His interest in jazz increased while he worked in Cleveland in the mid '80s, where he befriended jazz writer and eventual Jazz Journalists Association co-founder Willard Jenkins, who broadened Ragsdale’s musical taste. Together they listened to Jenkins’s album collection, hit jazz clubs and festivals. But when Ragsdale came to Detroit’s Highland Park Community College in 1984 he met such elite local musicians as Donald Walden, Wendell Harrison, Teddy Harris, Kenn Cox, Marcus Belgrave and Roy Brooks, and raised his game. One of Ragsdale’s early jazz achievements was producing those musicians’ U.S. Department of State-sponsored tour of Africa and the Middle East. He was executive producer of a recording from that experience, the Michigan Jazz Masters’ Urban Griots. In 1991, Ragsdale became the president of the Arts League of Michigan and made jazz an organizational centerpiece. His alliance of the Arts League with the Michigan State University College of Music has resulted in jazz concerts with the MSU Jazz Studies Program featuring marquee musicians. Availing the Carr Center to youngsters interested in jazz, in 2008 Ragsdale teamed with longtime producer and JJA Jazz Hero Bill Foster, who he considers a jazz mentor, to bring internationally beloved jazz stars to Detroit. Jazz education has been another of Ragsdale’s passions, the programs he’s established heavily emphasizing jazz history. In 2017, Ragsdale created an artistic director position for esteemed Detroit native pianist Geri Allen, encouraging her to put a zoom lens on the importance of women's contribution to the music. When Allen died a year into her appointment, Ragsdale brought in the Carr Center’s current co-artistic directors, vocalist Dee Dee Bridgewater and drummer Terri Lyne Carrington. “I admire Oliver’s commitment to jazz and his vast musical knowledge,” Bridgewater has said. “Oliver is a great organizer, and he’s great at bringing people together. The fact that he could bring in a musician like Geri Allen spoke volumes.” So does his contracting of Bridgewater and Carrington, and the Gathering Orchestra, another of Ragsdale’s projects that mixes veteran Detroit jazz musicians and rising stars. For a man who caught the jazz bug relatively late, Oliver Ragsdale, Jr. has proven to be a Jazz Hero when it comes to refreshing and raising the music's profile in Detroit. In Indianapolis, aka Naptown, the spirit of jazz has proven not to be rooted in a building or district, but in the hearts and spirits of the people. Decades after the Missile Room and the rest of Indiana Avenue’s storied clubs were bulldozed, jazz lives here through individuals contributing to Indy’s robust jazz culture, as prominently represented by David Allee, founder, owner and manager of The Jazz Kitchen, board member of the Indianapolis Jazz Foundation, director of Indy Jazz Fest and the JJA’s 2019 Jazz Hero from Indiana. David traces his love for jazz to his childhood exposure to his father, jazz pianist and composer Steve Allee. His appreciation grew when he took up trumpet in the Broad Ripple High School jazz band; today Allee performs with Proyecto 54 and has recorded two albums as a featured sideman with Pavel and Direct Contact Salsa Band. What stands out about Allee across the boards is his respect for the jazz masters who shaped the famous Indianapolis sound. In 2016, Indy Jazz Fest celebrated “The Year of the Thumb” featuring noted guitarists in tribute to Wes Montgomery; in 2017, Indianapolis jazz hall of famers Gene Markiewicz and Bill Lancton were on the outdoor stage in front of the Dallara Car Factory in Speedway, IN. In 2018, IJF shone a light on Hoosier legend Freddie Hubbard. At his intimate Jazz Kitchen -- included among DownBeat’s top 100 jazz clubs in the world -- audiences have enjoyed performances by nationally touring jazz headliners. Allee’s welcomed Indiana-based Rob Dixon, Charlie Ballantine, Amanda Gardier, Tucker Brothers, Rachel Caswell, Bashiri Asad, Jen Siukola, Gary Walters and Brett Wiscons there for their album release parties. One house speciality is paella and Latin jazz -- including both international purveyors and locals like Pavel Polanco-Safadit and Grupo Bembe. But jazz faculty from Butler University, Ball State University and Indiana U’s Jacobs School of Music regularly perform at the club, and it's also a venue for the American Pianist Association's jazz finalist performances. Allee says he wants to, in every venue, at every opportunity, promote it all. "We want you to hang out and have a good time, but we want you to get into the jazz at the same time," Jazz Hero David Allee says of his motivation. "There's so many different styles under the jazz umbrella, I'd be hard pressed to find someone who just doesn't like jazz. They just haven't found one they like. Yet." Barbara J. Brighton’s life-long love of jazz has bloomed in advocacy and activism. She has provided an important Los Angeles performance showcase for student musicians, the Young Artist Jazz Series, for 23 years. Innumerable young players, including more than a few nationally-known musicians, received their first public exposure on the Catalina’s Bar & Grill bandstand that Brighton has presided over. It’s no exaggeration to note that nearly all SoCal jazz musicians under 45 have participated in YAJS. While she has a career as a licensed psychotherapist that’s paid the bills, Brighton’s efforts to produce a competition for student musicians launched her role as impresario. Her consultations with the late recording executive Ellen Cohn proved invaluable, leading to Brighton’s founding of BJB Jazz Ventures. 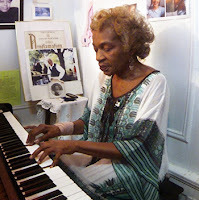 Barbara produced jazz brunches and memorial tributes to Cohn, Carmen McRae and Horace Tapscott. At the behest of the late Bill Traut, Kurt Elling’s manager, she booked the singer into every SoCal jazz venue for a solid month, then Blue Note Records hired her to do the same for Caecilie Norby. Barbara also handled promotion of pianist Kenny Werner’s book Effortless Mastery in Los Angeles. She initiated the Young Artists Jazz Series in 1996, with the help of club owner Catalina Popescu (the JJA’s 2012 Los Angeles Jazz Hero). Schools with jazz programs suddenly had a destination and reliable venue; schools without jazz programs gained added incentive. Families and listeners who might not have ever stepped into a jazz club were newly part of the Catalina’s audience. An a&r position for the MAMA label led Brighton to another aspect of jazz work, as an independent record producer. She co-produced The Stan Kenton Celebration -- Back to Balboa (MAMA). In 1999, she recorded singer and songwriter Mark Winkler, known as a smooth jazz performer, in the company of pianists Billy Childs and Jon Mayer, trumpeter Bobby Shew, saxophonist Bob Sheppard, bassist Bob Maize and drummer Gregory Hutchinson; Easy the Hard Way set Winkler in the mainstream jazz realm, and five more Brighton-produced Winkler albums, including Jazz and Other Four Letter Words with Manhattan Transfer’s Cheryl Bentyne, resulted. Having produced 14 albums with more on the way, Barbara has become a major player in advocating for Los Angeles jazz singers and their songs. With all of the music she’s heard and facilitated in her life, Jazz Hero Barbara J. Brighton’s greatest satisfaction comes from hearing graduates of her Young Artist Jazz Series in a club or a concert, knowing she’s played a part in their progress. The Oxford English Dictionary defines a hero as “A person who is admired for their courage, outstanding achievements, or noble qualities.” Each one of us has our own fantasies of heroes in fierce battles and achieving impossible feats while leaping over buildings. And then there is Keith Clarke. More Clark Kent than Superman, Clarke is gentle, unassuming and possesses a singular talent, honed through many years of practice, for being present while remaining invisible — until he goes out and achieves remarkable feats. Like a proper superhero, Keith Clarke has a disguise and a passion: he’s a building concierge by day and champion of jazz by night. 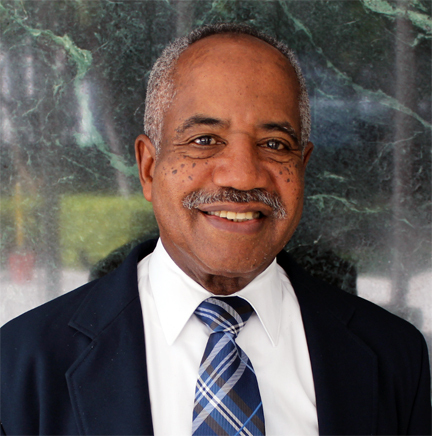 Since 2000, Clarke has worked a regular shift as a security officer and concierge at the Miami Tower in downtown Miami. Beginning in 2009, after some off-and-on attempts at presenting jazz, he founded the Miami Jazz & Film Society and started to host a monthly jazz night at the Tower’s Sky Lounge. For a time, the Tower paid half of the bands’ fees. When the money ran out, Clarke paid for everything out of his own pocket. “So it was a financial burden,” he once said with a shrug. “But […] I love listening to jazz. Nobody is putting a gun to my head and saying ‘You have to do this.’ I love to do it, and I’m going to be involved in community-building and education and in creating [an] atmosphere in which people can network and socialize because that’s part of me, of who I am. “I’m crazy about music, and particularly crazy about jazz,” he says. “So instead of listening to it by myself, I can create the atmosphere and let other people be part of it, too.” In the process, Clarke has opened spaces and opportunities for South Florida-based musicians, including those who are established, such as violinist Federico Britos, vocalist Brenda Alford, pianist Antonio Adolfo and saxophonist Jesse Jones Jr. as well as younger, emerging performers. Born in Miami, Clarke, 68, played saxophone in high school. He graduated from Miami Dade College with a degree in pre-psychology then he literally “ran off with the circus.” He traveled around the United States and Canada with the Ringling Bros. troupe for several months. After settling in California long enough to earn a degree in social services and a five-year stop in Atlanta where he worked with the local chapter of the Urban League, he returned to Miami. He continued the jazz program at the Miami Tower until mid-2013, then found a partner in the Olympia Theater at downtown’s historic Gusman Center for the Performing Arts. The jazz series staged in the theater’s lobby ran for nearly five years. After an eight-month pause, it resumed just last March. Clarke also curated jazz for the Coconut Grove Arts Festival (2007-2011) and the Miami edition of Puerto Rico’s Ventana Al Jazz series (January 2015 to December 10, 2016). Last year, he helped launch the jazz and blues program at the restored Historic Hampton House, once touted as “the Social Center of the South” and a prime destination for African-Americans in segregated Miami from the 1960s up to the early ‘70s. Entertainment there once featured jazz giants such as Cannonball Adderley, Count Basie, Duke Ellington, Dizzy Gillespie and Sarah Vaughan. Clarke will try to refresh its reputation. “What do I get out of it? I get joy,” he says. “All I want to do is share who I am and an experience I love,” he says. “if you taste a great meal, you want other people to enjoy it too.” He’s a generous man, Keith Clarke, Miami Jazz Hero. 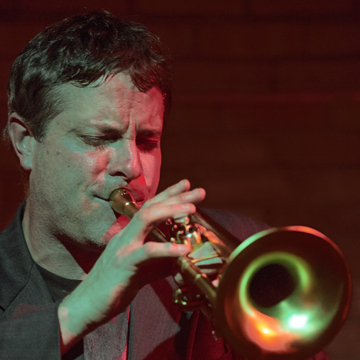 Steve Kenny -- jazz trumpeter, award-winning composer, active bandleader, dad to two grown children and a full-time computer tech specialist -- having provided the Twin Cities with more than 30 years of music as an impresario, curator and music producer, is our 2019 Jazz Hero. It’s not been an easy climb to arrive at this honor, but it’s been a gratifying one. In the 1980s and early '90s, Steve was poised to gain acclaim for heading The illicit Sextet, but his chemical dependency resulted in a nearly 15-year hiatus from the trumpet and public life. Becoming sober and involved in the recovery movement starting in 2007, Steve miraculously regained artistic and professional relevance, his accomplishments now surpassing earlier achievements. 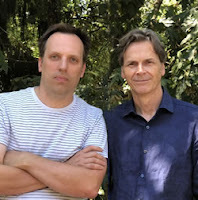 Besides The Illicit Sextet, Steve has founded Group 47, What Would Monk Do?, and his own quartets, bands which represent the directly sonic projection of his efforts. But more: In late 2013, Twin Cities jazz faced a crisis with the closing of the Artists Quarter, the rare venue designed for the music, presenting and paying top-flight local and national artists. Within a year, Steve established Saturday Night Jazz at the Black Dog, a weekly series of mostly local jazz artists in a small St. Paul cafe. He guaranteed fair compensation and set high curatorial standards, usually presenting a headliner preceded by a set from a youth ensemble, new ensemble or veterans testing out new material. Bands are paid in advance, but the series is supported through donations; when there is a shortfall, Steve personally makes up the difference. The series has led to Steve being credited as a driving forces behind Lowertown St. Paul’s heralded arts revitalization, and being featured among other pivotal arts activists in the large format photos of the “Inside Out” project, on walls at 17 Lowertown neighborhood sites. And one presentation series was evidently not enough. Steve’s similar Thursday night shows at a cafe near downtown Minneapolis ran for two years; within months of that place being sold, he established a weekly Friday night series, now in its second year, at the already existing nonprofit Jazz Central Studios. Then, too, there’s the summer jazz series Steve has managed for five years at Studio Z in St. Paul. He’s also curated three-night, five-sets bookings at the Black Dog during the annual Twin Cities Jazz Festival (this year he’s on the fest's program committee). As the creative force behind Illicit Productions, Steve is responsible for a growing catalog of albums by local artists, including the first-ever Twin Cities Jazz Sampler, now amounting to three volumes, featuring tracks by original-composition-focused ensembles. And he’s used his tech talents to save the Jazz Police.com, the Twin Cities’ most visible jazz website, from extinction, taking over web administrator duties upon Don Berryman’s retirement, overseeing it and its Facebook page, besides handling all advertising. How Kenny has managed to hold down a day job, complete a graduate degree, perform with numerous groups while leading a few of his own, run a production company and website and curate several ongoing jazz series baffles the Twin Cities jazz community. But there would be a lot less live, high quality jazz in Minneapolis-St. Paul without him, so Steve Kenny is our Jazz Hero! 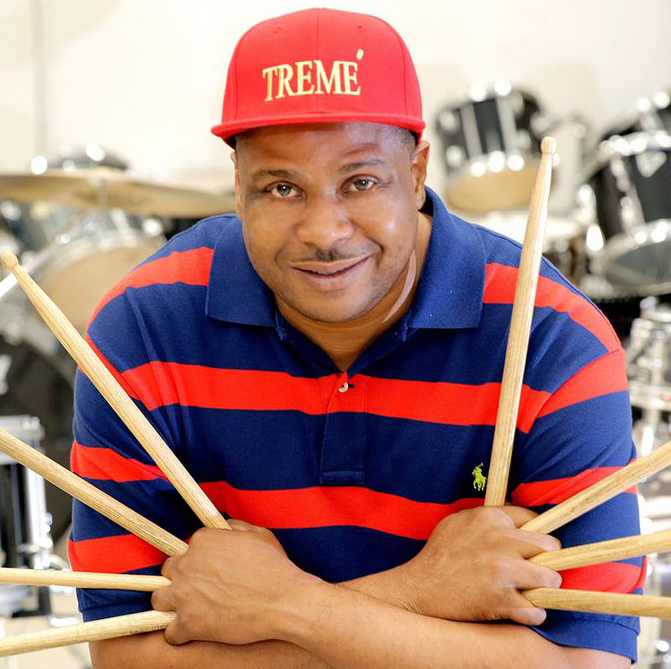 Derrick Tabb was born in the birthplace of jazz, New Orleans’ historic, traditionally black Tremé neighborhood, so it’s not particularly unusual that he began playing drums at age five and was earning a living as a professional by age 11. Before he was 20 years old, Derrick and friends in his group the High Steppers merged with the Loony Tunes Brass Band into the Hot 8 Brass Band. 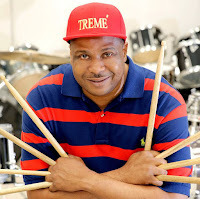 When Tabb joined the Rebirth Brass Band as main snare drummer in 1998, he brought the Hot 8 along; all together, they won a 2012 Grammy for Rebirth of New Orleans as "Best Regional Roots Music Album." That was one of many musical expressions of the “coming back” spirit of native New Orleanians in the wake of 2005’s Hurricane Katrina, when those returning after the city was completely evacuated found many of its traditions, including those of marching bands and brass bands, imperiled. Tabb himself endured challenges to getting home and re-establishing Rebirth, but he succeeded and went several steps further, in 2007 co-founding with Allison Reinhart The Roots of Music, a non-profit after-school program for New Orleans at-risk children ages nine to 14. Each afternoon, volunteers and graduates from Tulane and Xavier universities provide academic tutoring and homework assistance to young people bussed to a central facility from 40 Orleans Parish middle schools. Then New Orleans music professionals offer them music mentoring and field training. Everyone gets a hot meal before being bussed home. Free to students, The Roots of Music program is funded by private and corporate donations, and serves some 140 students each year. The program’s waiting list numbers approximately 400. Tabb stated that his goal in starting Roots was "to do for a new generation of kids what his own middle school band did for him,” and of course his program is an important assist for those who get to take advantage of it. But it may inspire others who just learn about it, too. For instance, The Roots of Music Marching Band has been a fixture in New Orleans Mardi Gras parades and gone on from there. In 2013 it received special commendation for having the youngest participant ever in the history of the Tournament of Roses Parade in Pasadena, California, 6 year-old Lawrence Honoré Jr. That, and his having perfected the 15-stroke snare roll as heard on Rebirth Brass Band’s version of James Brown’s 1970 protest song, “Talkin’ Loud and Sayin’ Nothin’,” might be just enough to help New Orelans Jazz Hero Derrick Tabb feel proud. Although her Jazz Parlor is something of a throwback to the days when jazz clubs lined the swinging streets of Harlem, when rent parties were all the rage and jazz musicians playing downtown at the Three Deuces or Five Spot scurried uptown to jam in a Harlem flat 'til dawn, she carries on the jazz torch not at all ironically. She perseveres each week in finding ways not only to host the concerts but to pay the musicians. Each Sunday, she vows, is a paid gig, not a charity gig or free gig. Being a pianist and singer herself, Eliot usually opens her sessions playing a spirited gospel tune. She is also a former actress and playwright, and after the Sunday concerts, poets and playwrights share their latest expressions. On Saturdays during the spring Eliot holds a singers’ workshop. Many loyal fans have been coming to her Jazz Parlor for years, and some by now have raised a younger generation of attendees. They come during the summer’s scorching heat, rain and snowstorms. Eliot’s neighbors often stop by. The Jazz Parlor has become so significant it is on Harlem tourist schedules. Tourists from Belgium, London, Paris, Australia and Japan mix with local jazz enthusiasts. Donations are welcome. To hear jazz of this caliber anywhere else in the city would cost at least $30 including admission. Jim Harrison is a jazz promoter extraordinaire. At 86-years-old, he has cut back quite a bit, but is still in the game. Today Harrison is the promotions consultant for Jazzmobile’s summer concerts. The backstory is that in 1965, when Dr. Billy Taylor co-founded Jazzmobile at the peak of the Black Power movement, he hired Harrison to coordinate all the organization’s concert promotions and special events. Harrison had already before then taken it upon himself to do that sort of thing. In 1961, he’d started a fan club for alto saxophonist Jackie McLean, holding “listening parties” with McLean-only recordings. He decided to push McLean in non-traditional jazz settings where a cabaret card (which McLean couldn’t get) was not needed, including a concert at Judson Hall. Returning the favor, McLean hooked Harrison up with Slug’s, and he served as that club’s music promoter from 1965 to '72. He also promoted concerts for Lee Morgan in Staten Island and the Bronx. This led to Ms. Management, co-run by Maxine Gordon and Hattie Gossett, hiring Harrison to act as promoter of record for Boomer’s and Sweet Basil’s from 1976 to '81. In 1979 Harrison became a publisher. His Spotlight News included listings, reviews and features. The paper started with 12 pages and had grown to 144 when he closed it in 1982 in order to join Barry Harris and Larry Ridley in establishing the Jazz Cultural Theatre, where he labored until 1987. Over the years Harrison has worked with jazz royalty. He has always gone high above the bar to support jazz in the community -- which he views as stretching throughout all five boroughs. He is a jazz elder with an encyclopedia’s worth of stories and experiences yet to share. He has always been a rather low-key gentleman, with a big smile, good sense of humor and quick wit. Whenever he goes to see such such noted musicians as Jimmy Heath, Rene McLean, Craig Harris, Gary Bartz and Charles Tolliver, they make a point of saying hello to him, paying homage as to a Godfather. Though he has not spent a lot of energy promoting himself, Jazz Hero Jim Harrison is well and widely known as a living jazz legend. 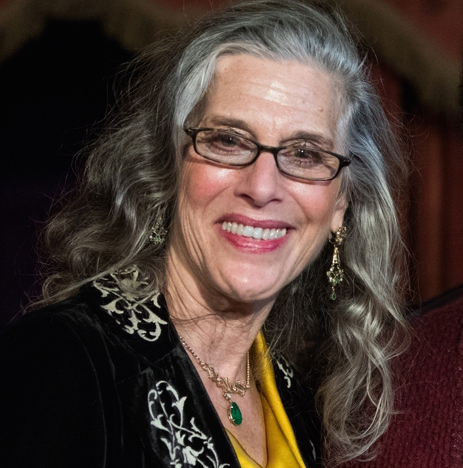 Suzanne Cloud, 2019 Philadelphia Jazz Hero, has long and deeply engaged with the city’s active, multi-faceted local musical circles as a singer, teacher, theater artist, researcher, non-profit administrator and grant-writer, and from 2005 to 2018 executive director of Jazz Bridge. That organization, which Cloud co-founded with singer Wendy Simon, sought to establish a reliable safety net for the regions’ musicians (singers included) should they suffer crises obtaining health, legal, financial, personal and professional needs. 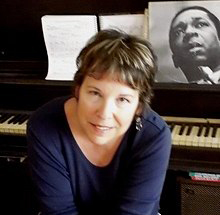 Having gotten her start in Philadelphia regional musical theater, Suzanne returned to that form with her play Last Call at the Downbeat about Dizzy Gillespie's early years in Philly, written for the Philadelphia International Festival of the Arts (PIFA) in 2014 and Vision Song: Our Hearts, Our Future, Our Voices for PIFA 2016 with a new composition by saxophonist Bobby Zankel and his Warriors of the Wonderful Sound jazz orchestra with the students of Grover Washington Jr. Middle School, which was performed at the Kimmel Center. She’s writing a newsletter called Philly Voices to promote the works of area singers, and is performing herself, often with bassist Tyrone Brown and guitarist Tom Glenn, at local watering holes. 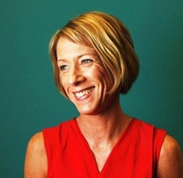 Suzanne Cloud has been named a Commonwealth Speaker by the PA Humanities Council, a Creative Connector by Leadership Philadelphia, and she won the Martin Luther King Jr. Freedom Medal in 2013 by Camden County. The JJA happily hails her as Philadelphia Jazz Hero. Dr. Harry D. Clark has been an essential member of Pittsburgh’s jazz community since the early 1960s, his contributions to the region’s scene arriving in several forms. Originally a drum major and trumpet player, he earned his bachelor and masters degrees in music education from Duquesne University. Upon graduation, he commenced his 30-year career as an educator in the Pittsburgh Public School system. In 1977, Clark earned his PhD. in education from the University of Pittsburgh. Since his earliest days as a teacher, Dr. Clark has been an unwavering supporter of young people, especially musicians and artists. 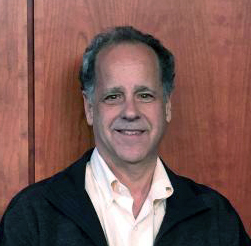 He solidified his place in local arts education history by founding the Pittsburgh Creative and Performing Arts School (CAPA) in the late 1970s, serving as its principal into the 1990s. Countless graduates from his school have become well-known artists, one being Broadway star Billy Porter. Due to CAPA, Dr. Clark went on to serve as president of the International Network of Performing and Visual Arts Schools, and also initiate new school arts programs in Virginia, Michigan, Colorado and abroad. Serving is Dr. Clark’s way of life, and he has always looked for ways to get involved, hands-on. As a University of Pittsburgh alumnus, he has been a part of the Pitt Jazz Seminar Committee, advising on its annual jazz event for over 30 years. He has served on the board of directors for numerous non-profit organizations, including Bridgeway Capital, a community loan fund. 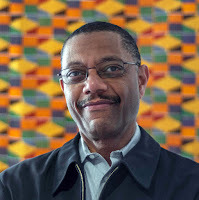 Currently, Dr. Clark is on the board of Kente Arts Alliance; president of the African American Jazz Preservation Society of Pittsburgh; lead advisor for jazzPGH, a voluntary impact coalition of performers, presenters, and educators devoted to jazz education, awareness and community outreach, and co-president of Lighthouse Arts, Inc. But probably most importantly, Dr. Clark is a constant presence on the Pittsburgh music scene, attending several events every week, offering encouraging words and advice to anyone in need. Such devotion is an ostensibly quiet but deeply meaningful investment in local culture -- people in the audience paying genuine attention tend to heighten the sensitivities of everyone else in attendance, and longterm if hard to quantify benefits accrue. 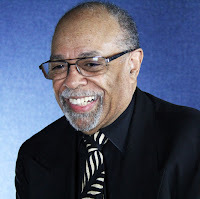 He was honored as a “Pittsburgh Jazz Legend” by MCG Jazz in 2015 -- Pittsburgh is happy to celebrate Dr. Harry D. Clark even more broadly as our 2019 JJA Jazz Hero. Don Lucoff, Portland’s 2019 Jazz Hero, is celebrating his thirtieth year in the jazz business. Over three decades he has worked as a publicist, promoter and, most prominently in the Pacific Northwest, since 2012 as artistic director of the Portland Jazz Festival. His development of the fest (now formally the Biamp PDX Jazz Festival) and expansion into year-round and outreach activities of its support organization, PDX Jazz, is his most significant contribution to the local music community. Under Lucoff’s stewardship -- which he inherited from 2013 Portland Jazz Hero Bill Royston -- the festival has adopted contrasting approaches to appeal to a broad audience. A downtown-centric became city-wide; curated year around programming began in earnest and grew to upwards of 40 shows annually. Partnership and engagement with entities including Soul’D Out Music Productions, Department of Parks & Recreation, Western Jazz Presenters Network, Jimmy Maks, Portland Art Museum, Literary Arts, PJCE, Creative Music Guild, Montavilla, Cathedral Park and Vanport Festivals were established. Expansion of education and outreach initiatives including the 2016-17 Jazz Forward Competition and the on-going “Jazz Goes to College” concert series at Portland State, University of Portland, and Lewis & Clark College. Since 2012, the organization’s annual fiscal budget doubled, operational support from the Regional Arts & Culture Council ensued, a capacity building grant was awarded in 2018 from the MJ Murdock Charitable Trust, and PDX Jazz was recognized nationally as a “Jazz Hub” by the Doris Duke Charitable Foundation. Lucoff has achieved this goal without sacrificing the fest’s core identity — a celebration of the Blue Note sound in all its shifting colors, and a dedication to challenging, progressive artists as well as established, straight-ahead stars. Jazz journalists have known for all of three decades that the man behind the company DLMedia has had his ear to the ground and effectively spread the word of jazz talents and accomplishments far and wide. The JJA as well as music lovers in Portland are pleased to now toast Don Lucoff as a Jazz Hero for putting his contacts, aesthetic and perspective into play, furthering a healthy and ever-more promising community of artists and listeners right here. 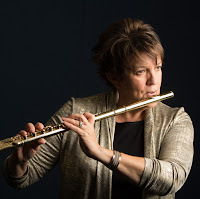 Known internationally since the 1980s as one of the leading flutists in jazz, Holly Hofmann’s musical career has included associations with many major artists, and she has released 13 critically acclaimed albums under her own name with band members such as Terell Stafford, Anthony Wilson, John Clayton, Jeff Hamilton and her husband, pianist Mike Wofford. Originally from the Midwest with degrees from the Cleveland Institute of Music and the University of Northern Colorado, Holly settled in San Diego in the late 1980s, and while sustaining her active career as a performer has run a regular concert series here almost continuously for the past 30 years, a significant feat in a town that has proved challenging for jazz. She began with the four-night-a-week jazz program at the downtown Horton Grand Hotel, for seven years presenting internationally acclaimed artists. After a brief period of relocating the program to the Bristol Court Hotel (also in downtown San Diego), in 2002 Holly began an association with the San Diego Museum of Art, presenting concerts to packed audiences in the museum’s auditorium until 2009. Then she moved the program to the 750-seat North Park Theater, presenting monthly events there up to 2012. Her current weekly program at the Handlery Hotel in Mission Valley regularly attracts standing-room-only crowds. Jazz lovers in San Diego are forever in Holly’s debt for these hundreds of concert presentations introducing some of the leading musicians in jazz to our area -- but she has exerted a similar impact on the community of Newport, Oregon, where she’s been music director of the Oregon Coast Jazz Party since 2008. She’s also chosen artists for Jazz at the State Theater in New Brunswick, New Jersey. Not content with only being a performing artist and director of these musical series, Holly has also been active as a jazz educator, offering her knowledge to students in clinics at colleges and conferences world-wide and through her role as a founding member of the faculty of the University of California San Diego Jazz Camp. She has particularly focused on mentoring and encouraging young women, particularly those who are instrumentalists, to become involved in jazz. For all of these reasons, Holly Hofmann has more than earned the title of Jazz Hero, both in the San Diego jazz community and across the country. 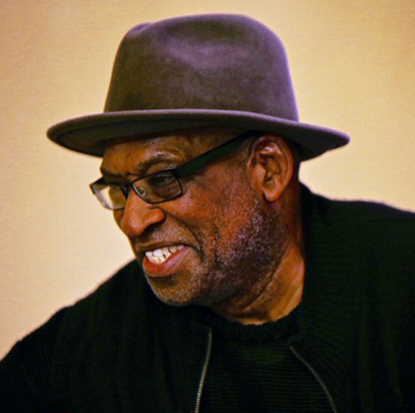 Drummer, educator, record label owner, graphic designer, publisher, and festival presenter John Bishop (l in photo) has been one of the primary voices in northwest jazz for over 35 years. Drummer and percussionist, bandleader and composer, concert tour director and road manager Matt Jorgensen is the epitome of a modern jazzman, with a keenly personal musical voice, plus the wherewithal to help the music reach its potential audience. Origin was that something, with companion labels OA2 and Origin Classical having to date released more than 600 CDs, including titles by Seattle stalwarts Jay Thomas, Dawn Clement, Chuck Deardorf, Marc Seales and Bill Anschell, as well as nationally-known figures based elsewhere. Handsomely-designed and professionally-promoted, Origin discs are a source of great pride for Seattle. In 2003 Bishop and Jorgensen expanded operations to launch the annual four-day Ballard Jazz Festival, which highlights the thriving Seattle neighborhood of old town Ballard and features Seattle's world-class players. Over 15 years the Ballard Jazz Festival has gained an enviable international reputation, recognized for featuring some 80 Pacific Northwest artists every year among top exciting, progressive headliners. It’s not often that jazz musicians respected in their own rights as players also become accomplished presenters and producers, aiders and abettors of others, creating opportunities and nurturing the jazz community at large. It’s hard to imagine the Seattle jazz scene without the contributions made over the past three decades by Jazz Heroes John Bishop and Matt Jorgensen. The San Francisco Bay Area jazz scene would look and sound a lot less interesting without Stacey Hoffman. More than a tireless jazz advocate, she’s the co-founder and driving force behind the non-profit, grassroots arts organization Living Jazz, a veritable empire comprising Jazz Camp West, Jazz Search West, and the Living Jazz Children’s Project, a free music education program for low-income public elementary schools that serves more than 300 second and third graders. Many of Stacey’s initiatives take place out of general view, but Living Jazz very publicly presents "In the Name of Love," the annual Oakland concert celebrating Dr. Martin Luther King, Jr. that has featured the region’s finest jazz vocalists and instrumentalists since its advent in 2003. In other cases, Living Jazz has launched ensembles that have evolved into independent organizations, including the Oakland Jazz Choir and the Oakland Interfaith Gospel Choir. Among all of Living Jazz’s various initiatives, no program has made a more lasting impact than Jazz Camp West, an eight-day session for instrumentalists, vocalists and dancers that drummer Allison Miller recently took over as artistic director. With nearly 50 faculty members drawn from the cream of the Bay Area jazz scene and 250 participants who range in skill level from beginners to professional players gathering in La Honda’s redwood-shaded YMCA Camp Jones Gulch every June, the immersive environment has fostered countless collaborations that have turned into new ensembles, recording projects and gigs. When Jazz Camp was on the brink of folding several years later, she and pianist Ellen Hoffman (no relation) stepped up and rescued it with help from drummer Eddie Marshall and his wife Sue Trupin, which led to the birth of Living Jazz. 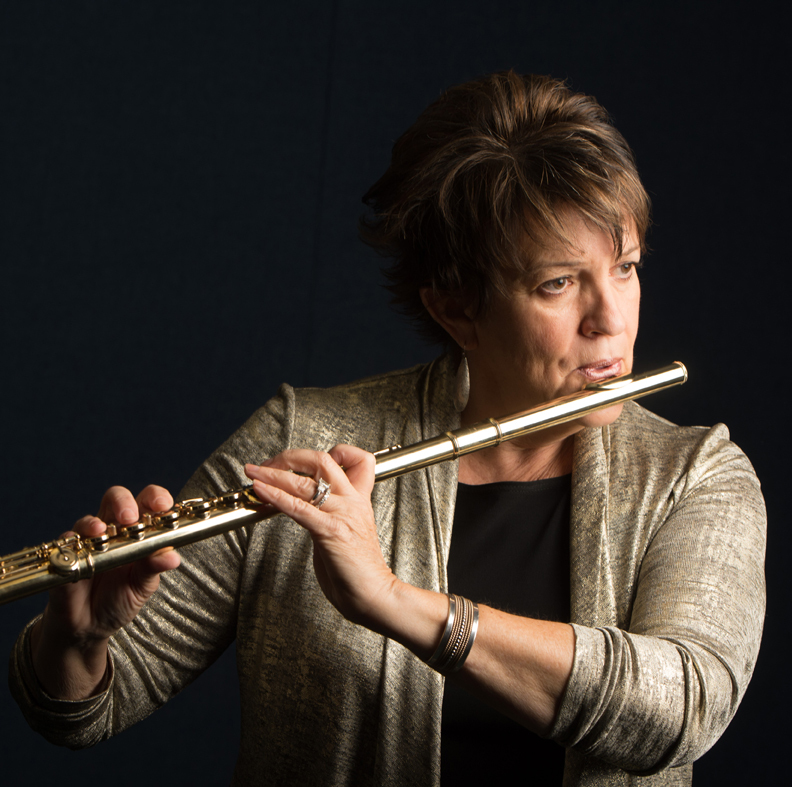 While Hoffman is passionate about all the arts, she sees the communal activity of learning and playing music as a vehicle particularly serving a larger end, as a “natural bridge to overcome division and discrimination,” she said. A Berkeley psychotherapist with a small private practice, she has infused every Living Jazz program with a subtle but guiding set of principals about “how to be a better person, about gratitude and appreciation, about finding friends, and overcoming loneliness.” Along the way, Jazz Hero Stacey Hoffman has nurtured the Bay Area music scene from top to bottom. Writer Terry Perkins, the 2019 St. Louis Jazz Hero, has plenty of experience with this Award. In conjunction with the Jazz Journalists Association, Terry worked to get recognition of an annual St. Louis Jazz Hero Award started, and presented the Award to the first four winners here: the late Don Wolff in 2015, Dennis Owsley in 2016, Jim Widner in 2017 and the late Richard Henderson in 2018. A native of North Carolina who grew up as a “military brat” at Air Force bases from Florida and Alaska to Texas and Nevada, Terry has lived in the St. Louis area since the 1970s, and it’s here that his writing about jazz began, in 1983. He regards the Gateway to the West as the place where his love for the music really blossomed. After working as a manager for several Streetside Records stores, Terry began to freelance articles on music, at first for The Riverfront Times and the St. Louis Post-Dispatch. He has also written for the St. Louis Beacon, the St. Louis American, St. Louis Magazine and Alive magazine, and on national and international levels, DownBeat, JazzTimes, RollingStone.com and the Oxford American. Terry also served as creative director for the Old Webster Jazz and Blues Festival for several years, and as coordinator for Music For Lifelong Achievement, a non-profit group that encourages the donation of musical instruments to disadvantaged young people throughout the immediate St. Louis region. “I’ve been lucky enough to write about music for over 35 years,” he asserts, “and what I enjoy most is bringing more attention to the talented musicians we have right here. St. Louis has an amazing jazz scene, and it deserves to be in the spotlight.” As he has worked so hard to gain the city’s music that attention, Terry Perkins himself has earned celebration as a St. Louis Jazz Hero. April 17, Ferring Jazz Bistro, 3536 Washington Ave, St. Louis, MO 63103, before the 7 pm Whitaker Jazz Speaks presentation by author Ricky Riccardi on the music of Louis Armstrongs’ Hot 5 and Hot 7. 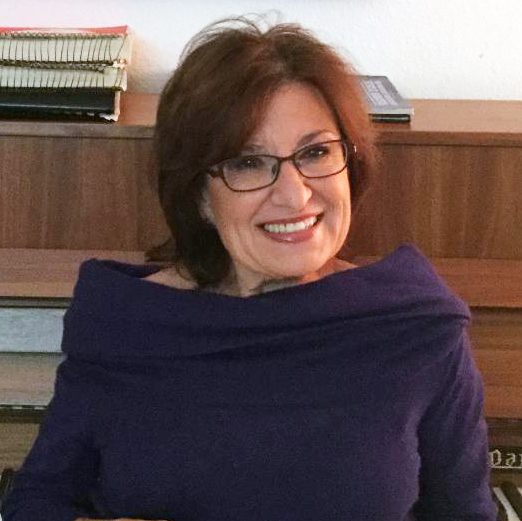 Dr. Joan Cartwright is a professor of Speech Communication at Southeastern College in West Palm Beach, Florida and in 2017 completed her Doctorate in Business Administration/Marketing (DBA) at Northcentral University in Arizona, but it’s for her writing, composing, lecturing, producing, research and documentation concerning women composers (especially) in jazz and blues, and for her founding in 2007 of the non-profit Women In Jazz South Florida, Inc., that the Jazz Journalists Association hails her as 2019 South Florida Jazz Hero. Dr. Cartwright is clearly a person of many parts and high energy. In the 12 years of its existence, WIJSF has released six compilation albums, comprising 63 songs from 45 women composers. Since 2008, she has hosted 300 episodes on MUSICWOMAN Radio, published four Catalogs of Women in Arts & Business and Musicwoman Magazine’s premier edition. She has published 14 books with her own FYI Communications, Inc. on lulu.com. She is an ASCAP-affiliated publisher and songwriter, a member of National League of American Pen Women, and through WIJSF maintains international relations with diverse peer groups. She blogs, and has contributed to the South Florida Times, In Focus Magazine, Global Woman Magazine and Encyclopedia of the African Diaspora. She has an impressive array of academic accreditations and has been honored by several professional associations. But one senses that the devotion of her WIJSF members, and the continuous support of her daughter Mimi Johnson, with whom she owns MJTV Network (“Positive Influential Television”), is based on personal qualities that imbue her larger projects. Among those is a goal to build the Musicwoman Archive to house the musical and literary works of women musicians and provide a performance and educational center where women musicians can thrive. In educational workshops Dr. Cartwright presents, which highlight the pitfalls and benefits of the music business, she insists that, "Knowing music theory is a step in the right direction for any singer who truly wants to excel in the world of music!" Yet her own breadth of endeavors -- acting, singing, media creation, marketing, advertising, public speaking and public relations skills as well as command of theory are arrows in her quiver -- attests to the reach she models for all women, all artists, anyone whose ambitions extend to being creative, innovative, expressive, self-realized, in the moment while communing with others, sharing experience, telling truth, seeking beauty -- in other words, living as a Jazz Hero. Pianist Bob Dogan has been one of Chicago's born-and-bred yet less-heralded artists, despite his decades of participation in world-wide spheres of jazz. That ought to change, because since relocating to Tallahassee in 2013, he’s continued all his personal musical endeavors, besides extending himself to work frequently and productively with student musicians. It’s been really good to watch and note that the tradition of young up ‘n’ comers training with seasoned veteran musicians has not disappeared! Dogan’s music may strike listeners at first as cool but low-key. Not to be deceived, that's all the more reason to lean into his compositions, improvisations and recent vocalizing. What on introduction seems to fit into conventional jazz formats actually ventures across and beyond such presumably limiting lines. This pianist-composer is an original. Having launched his musical life playing clarinet in Chicago’s Tilden High School band in the early 1950s, Bob got a journalism degree from Michigan State University but turned to music instead, studying at Boston's Berklee School of Music with legendary Mme. Margaret Chaloff and jazz iconoclastic/icon Jaki Byard. He graduated into trumpeter Maynard Ferguson's orchestra and recorded with drummer Buddy Rich before a stint on baritone saxophone in the Armed Services Army Band. On discharge he returned to Chicago to gig, in the '80s bouncing back to Berklee as a teacher, then returning to his hometown again to freelance prodigiously. His most recent albums, My Blues Roots and Bob Dogan Sings Ballads have been compared to works by the late singer-songwriter-pianist Mose Allison, but Dogan’s hoary voice and subtle keyboard style could belong to no one else. I think that says it all! B Sharps is proud to celebrate Bob Dogan as JJA Tallahassee Jazz Hero for 2019. 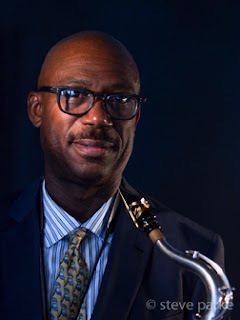 Paul Carr is a tenor saxophonist, educator, and presenter based in Montgomery County, Maryland -- north suburban Washington, DC. A native of Houston, Paul has impressed his proud Texas Tenor tradition on the local jazz scene. His community activism is exemplified by his passion and labors on behalf of jazz education, and presentations about its importance to the Congressional Black Caucus, among other influential entities (he performed at White House private functions during saxophonist Bill Clinton’s administration). Add in his successful resurrection in 2010 of a beloved but suspended annual jazz event to arrive at a sense of the positive impact he’s having through his multi-dimensional, happily ongoing career. The young Carr prepped at Houston’s famous Kashmere High School under honored jazz educator Conrad Johnson. As a tenor player he was mentored by such Texas tenor sax exemplars as Arnett Cobb and Don Wilkerson. However, he attended and in 1985 graduated from the noted jazz program at Howard University, where he came under the tutelage of Dr. Arthur Dawkins and Prof. Fred Irby. 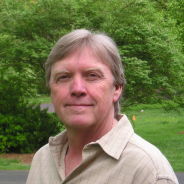 As a professional he has recorded five CDs as a leader, including B-3 Sessions DC-NY and Standard Domain. Today, Carrs tours widely. Throughout this region he’s remembered as an up ‘n’ comer jamming at One Step Down, known as a mature player warming the crowds at Friday Night Jazz at Westminster Presbyterian Church and respected as a teacher whose lessons have led students to the finest conservatories and productive careers. Paul’s commitment to spreading music widely led him to found the lauded Jazz Academy of Music in 2002, which he still directs. The mission of JAM is to preserve jazz music through education of both children and adults. The school’s faculty comprises some of the DC area’s finest musicians. For his efforts as both professional musician and jazz education leader, in 2014 Paul was awarded Howard University’s prestigious Benny Golson Jazz Master Award. (Benny Golson himself was given the JJA’s Lifetime Achievement in Jazz Award in 2018). From the late 1980s into the new century the East Coast Jazz Festival, founded and directed by vocalist-educator Ronnie Wells, thrived as DC area’s annual winter jazz event. Ms. Wells was such a charismatic figure that she literally embodied the East Coast Jazz Festival, to the point that when she died in 2007 the festival went dormant for three years. Recognizing what a great resource the festival had been for jazz in the DMV, in 2010 at the encouragement of Suzan Jenkins, CEO of the Arts & Humanities Council of Montgomery County, Paul and his wife Karmen Carr revived the festival under a new name: the Mid-Atlantic Jazz Festival. MAJF has continued to grow and serves lately as a unique, indoor jazz party staged at a hotel, the setting encouraging attendees from the Northeast Corridor and beyond to spend the weekend enjoying a robust lineup of first-class professional performances, free student performances and education activities befitting Jazz Hero Paul Carr’s admirable range -- as an exceptional saxophonist, award-winning and student-approved jazz educator, a purveyor of jazz and maker of opportunities for others besides himself.